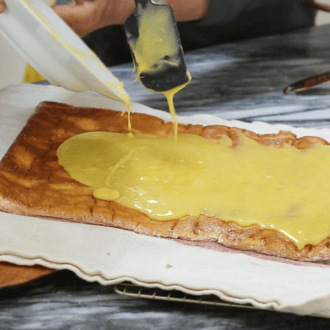 You should also make sure to allow the cake to cool completely and if you can, make the lemon curd a day or two ahead of time. 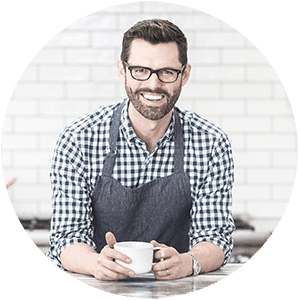 It will be easier on you and the flavors will really come out more. We always slather this cake in whipped cream as it balances out the sharp lemon flavor but you can give it a simple dusting of powdered sugar and it will store better in the fridge. 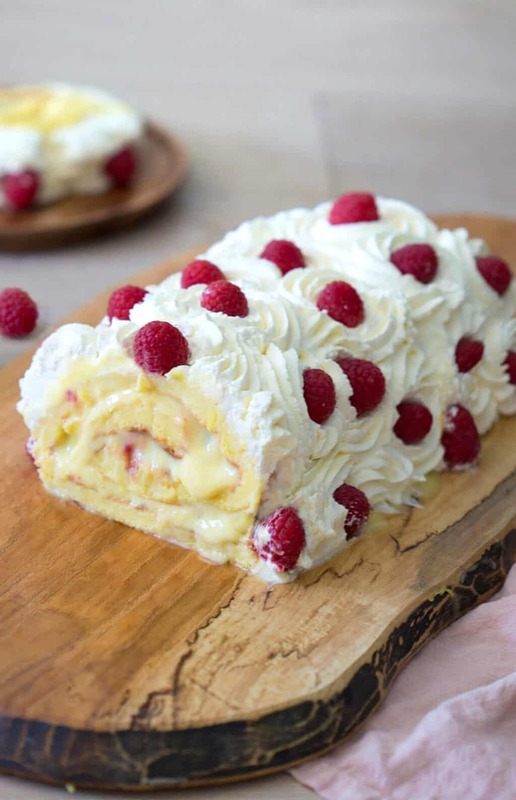 A zesty lemon cake rolled with home made lemon curd and covered in whipped cream. Beat egg yolks until well combined and thick. Add in 3/4 cups sugar, lightly beat. Add in juices and blend together. Combine and beat flour, baking powder and salt until well combined. In another bowl, beat egg whites until foamy and thick. Beat sugar until stiffer peaks form. Don't over beat. Fold eggs whites into yolk mixture with a spatula. Combine gently but be thorough. 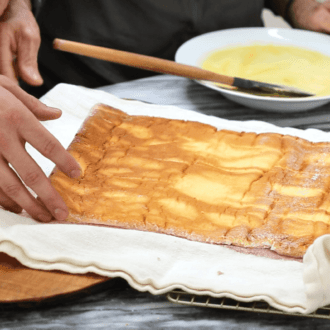 In a jelly roll pan, grease and line with parchment paper. Grease and flour paper. Pour the batter into the pan. Bake at 325F for 25 to 30 minutes or until golden. Let the cake cool for 5 minutes in the pan. While it's cooling, dust a clean kitchen towel with confectioners' sugar. 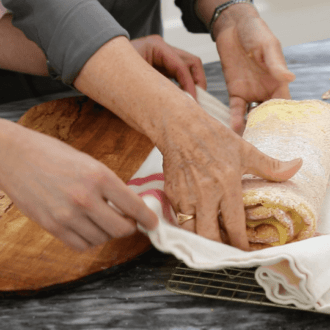 Invert the cake onto the towel, carefully remove parchment paper and roll the cake up in the towel. Allow to cool completely. In a pan, the strain egg yolks and beat lightly with a wire whisk. Beat in sugar until blended. Stir in lemon juice gradually. Heat on low, while stirring constantly with a wire whisk until mixture coats back of wooden spoon or 168F on a candy thermometer. Do not boil the mixture. Turn off the heat, whisk until cooled. Add cold, cubed butter and whisk in bits to yolk mixture until melted. Let cool completely. Using a metal bowl and metal spatula, add cream and sugar. Whisk on high until it reaches stiff peaks. Unroll the cake. Once cooled, spoon a flat layer of lemon curd onto cake. Carefully roll and transfer to a plate. 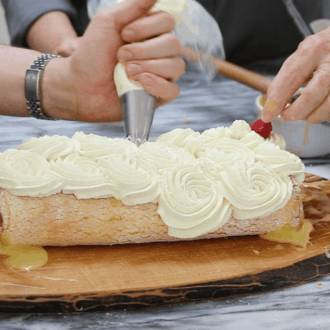 Using a large closed star tip, pipe whipped cream rosettes on the top. Notes: Curd filling can be stored and kept in the refrigerator for later use. I made this for my husband who loves lemon and he was in heaven!! I decorated it with fresh blueberries and whipped cream. Thank you for this delicious recipe. Adding blueberries and whipped cream sounds delicious! I’m happy your husband enjoyed the cake! Itz so yummmmmyyy vll definitely try.. 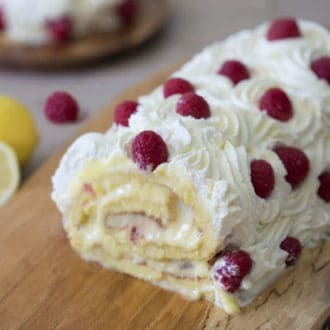 I hope you enjoyed the lemon roll cake!